Luke finds that his world has changed in three ways, as he wakes from a coma after meningitis. First, he has synaesthesia. Second, he has a weakness in his leg, disastrous for someone who was such a brilliant runner. And third, he discovers that synaesthesia gives him endless power. Even the power to fly. Guiding Luke through his new world is Dreeg, who dwells entirely in Luke’s brain. Dreeg’s appearance changes as Luke’s feelings about him move between fascination and horror. Luke soon discovers that power has devastating costs – will he be tempted to sell his soul to pay for the power to fly, to create anything he wants, to punish his sister for .. but no, you need to read the book to discover the reasons for the problems between Luke and his sister. And who is the mysterious deaf girl, Seraphina, with biscuit skin and hair as long as the sound of honey? The book is really about temptation and power. Luke becomes corrupted by power and the only way he can save the people he loves, and his own soul, is to give up his power – if it’s not too late. It’s also about guilt and how to pay for something you have done wrong. Finally, it is about the power of language. Mondays are Red is back as an ebook edition with extra material! Click here for the video trailer – made by my daughter, Rebecca. A video of me answering questions from St Laurence School. You can also buy the ebook from Amazon but if you buy from me you get files in three formats, so you can read on computer or Kindle or other device. The theme of guilt in fiction. For Cat Clarke. My Undercover Soundtrack – music and my writing. For Roz Morris. I had a surprising amount of fun with this and the comments were really interesting, too. The weird world of synaesthesia – all about this fascinating condition. For Lucy Coats on Scribble City Central. 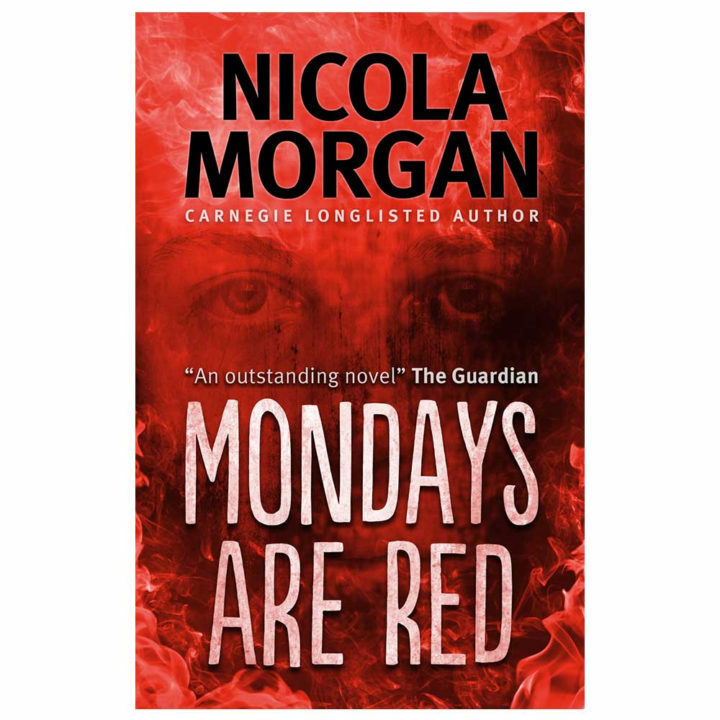 Why and how I can to produce the ebook of Mondays are Red. For Literature for Lads. Bookwitch did a lovely review here. The Observer: among the “Best 0f 2002″.